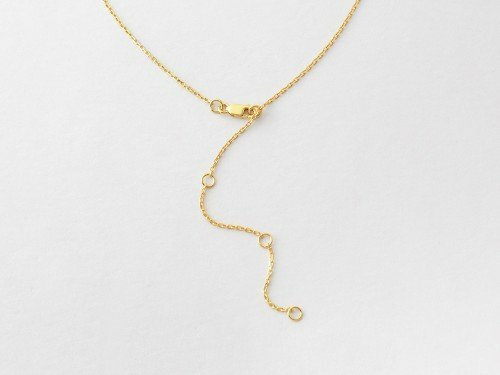 Our eternity circle pendant and star charm come together to create a modern and playful mother and children necklace that could be personalized with longer phrases front and back. 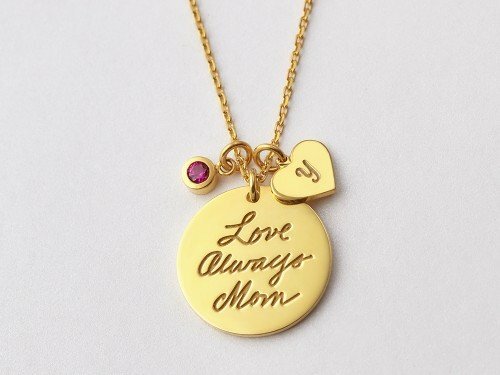 For the large eternity charm, choose a personal message or quote or all of your family names. 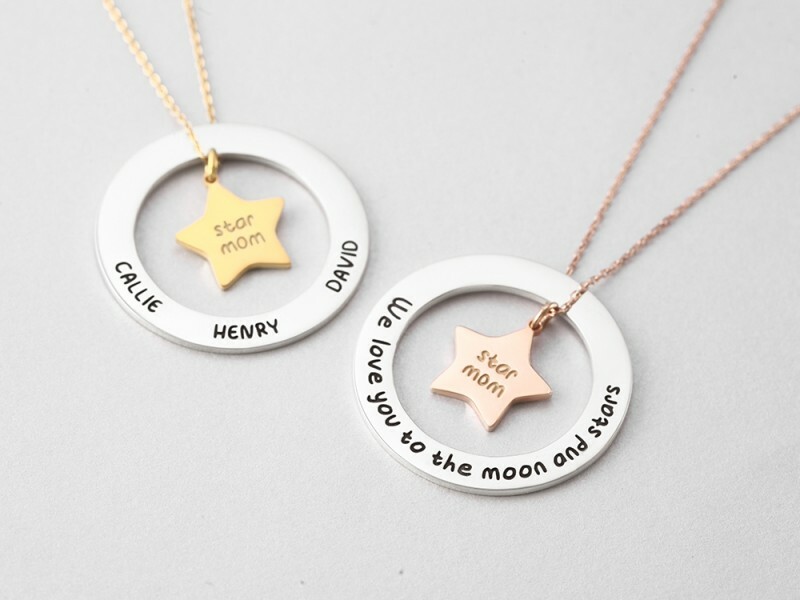 For the star charm, choose a name or date, or playful nickname on the star to make a meaningful personalized mother necklace! 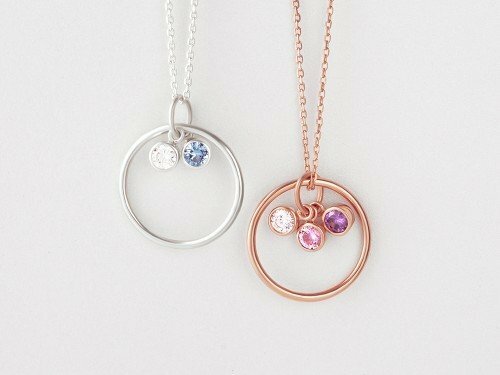 Mix and match your finishing colors for a modern custom mom necklace with a lot of movement. 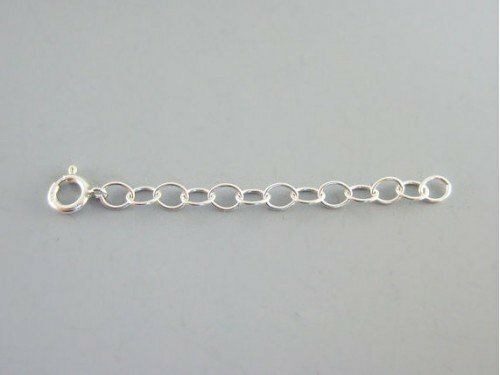 - By default, the eternity circle charm will come in silver with black engravings. Select finishing color for the star charm and chain. 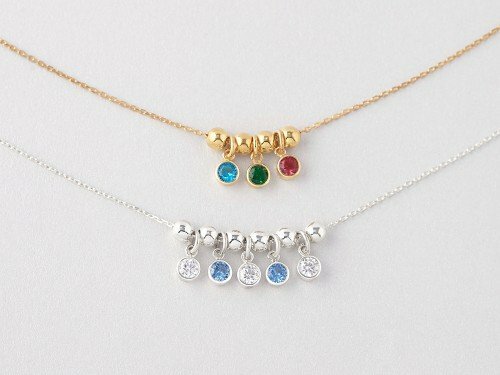 However, if you want the eternity charm to come in a different color, simply leave your preference in the instructions and requests box. 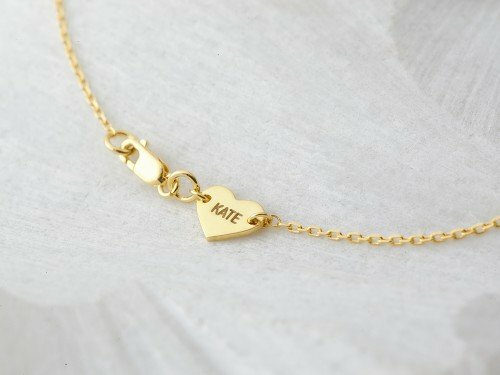 - Words limits: 1-2 words/side for the star charm, and 11-12 words/side for the eternity circle charm.